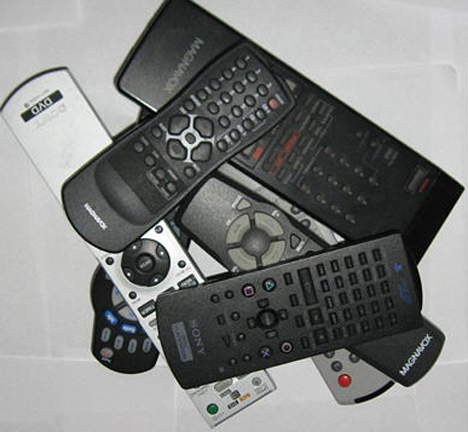 If your household is like most others, you’ve probably got a handful of remote controls wandering around. They may not be as guilty of battery-hoggery as, say, digital cameras, but when they do run out it’s always at the most inconvenient moment (like when you’ve just sat down with a beer and a bowl of chips, planning to switch back and forth between two important games). Maybe in the future, you won’t have to worry about batteries for your remote controls at all. NEC and Soundpower are developing a battery-free remote that works with piezoelectric sensors to power all of your channel-surfing needs. The movement and pressure of your fingers will provide enough of a charge for the device to perform rudimentary functions: channel changing, volume up/down, and turning the TV off and on. The two companies are working together on the remote and plan to have it ready for manufacturers by 2011.